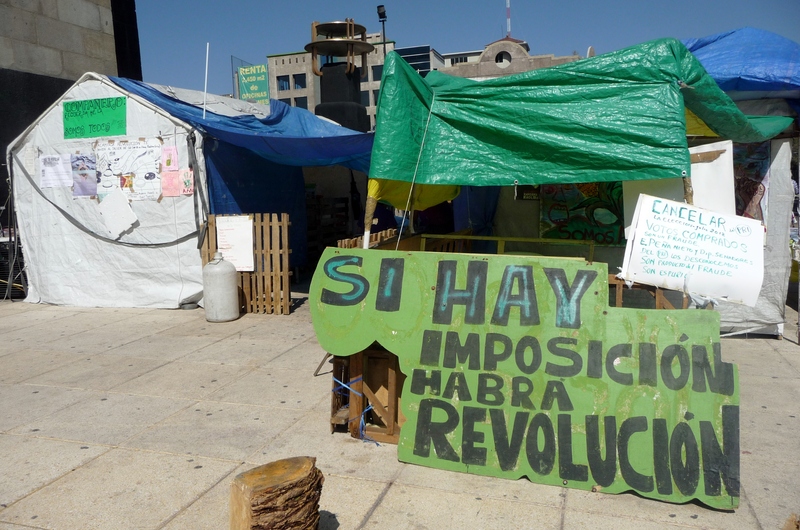 This weekend the #YoSoy132 movement celebrated 5 months camped out underneath the appropriately named Monument to the Revolution in central Mexico City. 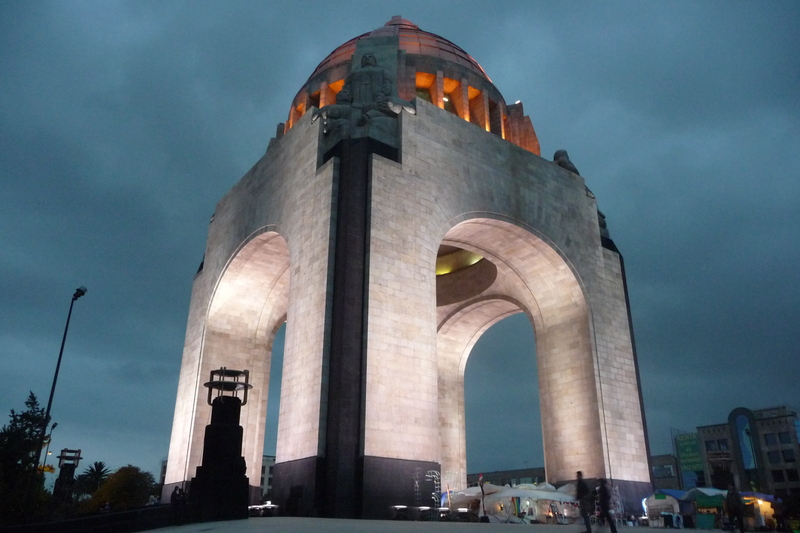 As well as looking impressive, the monument also doubles as a mausoleum and houses the remains of some of Mexico’s better-known revolutionary icons – Pancho Villa, Francisco Madero and Lázaro Cárdenas among others. The camp site is simple but looks efficiently run and clean. Sleeping tents are hidden from view behind the communal tents, such as a library that has been set up with comfy chairs to entice people to sit down and grab one of the many books from the shelves. There is room to cook and eat and plenty of space to hang out. Equally important there is shelter from the sun and the creeping cold of the capital city in November. The camp has been stationed here since before the Mexican federal elections on 1 July and it seems that they will be there for some time to come. I spoke to a young man who is part of the camp and he explained to me the significance of this site – it is the only physical manifestation of the #YoSoy132 movement that has remained in place. Camps have come and gone in other areas, but they have managed to stay put. In less than a week, on 1st December, Enrique Peña Nieto (or EPN as he is commonly called in Mexico) is set to officially take over the Mexican presidency. For their part, the #YoSoy132 movement are trying their hardest to make sure this doesn’t happen, having organised mega marches, blockades, petitions, talks, rallies, concerts and encampments. Overall the movement is protesting the neoliberal juggernaut that leaves most Mexicans disenfranchised and under-represented in politics. Specifically, EPN has become a focus of the ire against the ruling class and the corrupt politics that have a long history in Mexico. If EPN takes the presidency, which seems likely at this stage, it will be amid ongoing claims of electoral fraud and biased media coverage leading up to the July elections. EPN’s political party PRI was implicated in a vote-buying scandal and in the end voting day irregularities led Mexico’s electoral authorities to recount votes at half of all polling booths in the country. 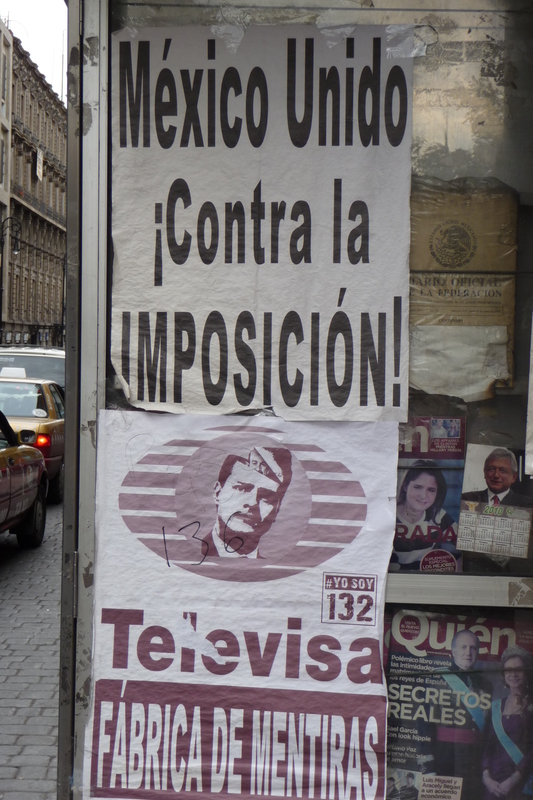 EPN was again declared the winner, but many still feel that the election was tainted. 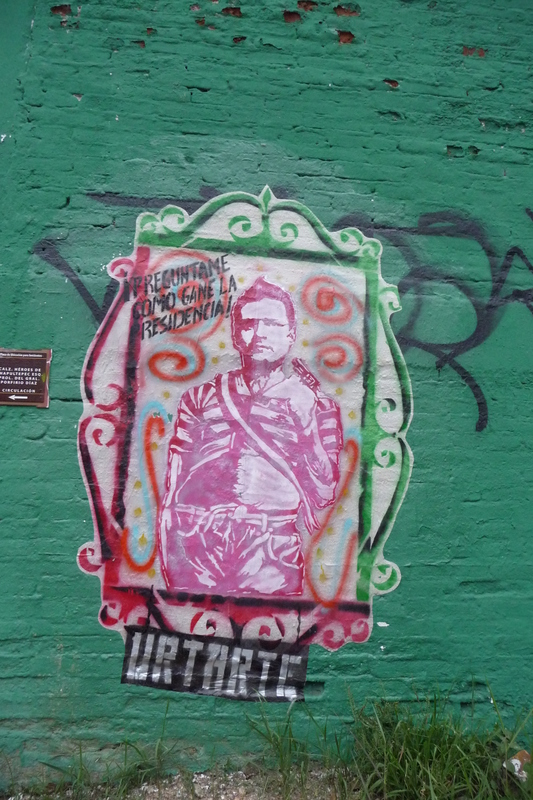 The popular catchphrase ‘contra la imposición’ (against the imposition) has taken root and can be seen in graffiti and on political posters throughout the capital and in other parts of Mexico. However when EPN is inaugurated as President of Mexico at the end of this week the cause will not be lost. What the #YoSoy132 movement is fighting for are changes that extend beyond electoral politics – they want a genuine participatory democracy to take root and for decisions to be taken out of the hands of the oligarchs. In terms of next steps, the young man I spoke to at the encampment assured me they would continue the fight. At the campsite I picked up a DVD called #YoSoyTodasLasLuchas (I am all the struggles). It highlights the interconnectedness of a growing number of social movements around the world. 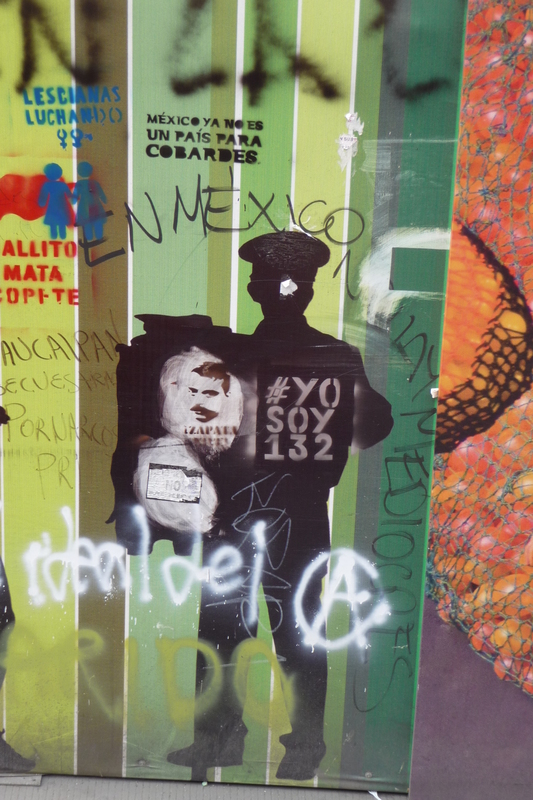 While the #YoSoy132 movement is strong within Mexico, it is also connected to the occupy movement in the USA, the student movement in Chile, and protesters in Greece and other parts of Europe. They share the same vision of fighting against a corrupt system that serves only to bring wealth to those at the top. It remains to be seen how long electoral politics can remain unchanged in the face of such widespread protests. As these movements connect up it seems more and more likely that their ideas will only spread further, creating the real possibility of revolution in our lifetime. Previous Post‘Sobreviviendo’ – a photographic look at Mexican migrants in CaliforniaNext PostWill the Venezuelan revolution falter if Chávez steps down?